Yeah… remember that interview with Jim Klug about St. Brandon’s Atoll? 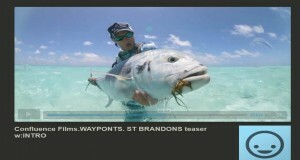 Well… here’s a little video teaser of Confluence Films next flick, Waypoints. Click on the image to see the goodness. This entry was posted on Tuesday, December 18th, 2012 at 1:53 am	and is filed under Locations. You can follow any comments to this entry through the RSS 2.0 feed. You can leave a comment, or trackback from your own site. Looks epic. It’s going to be a long wait.